Smartphone makers, as most of you know, tend to refresh their products roughly once a year. Flagships, for instance, often arrive in the spring from a variety of players, each with new specs and features. It’s also about once a year that accessory makers shake up or refresh their portfolio, to. 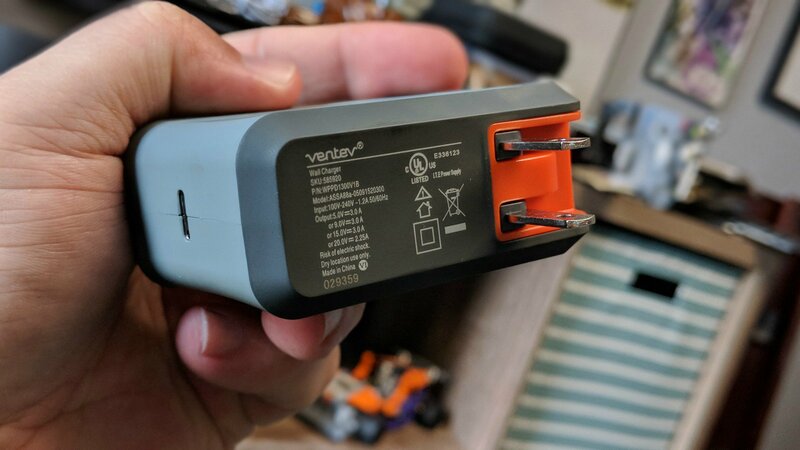 Ventev is one of those brands. 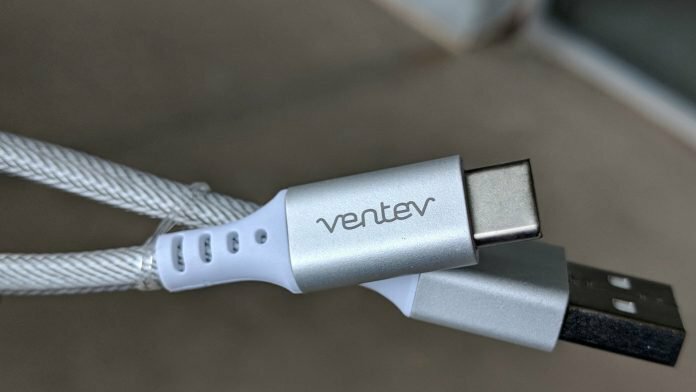 We had a chance to meet up with Ventev earlier this year at CES where it showed us some of its recently introduced products. We’ve long been a fan of its efforts and liked what we saw in Las Vegas. A few weeks after we returned home, Ventev sent us a box of some of its newer items. Each is a little different from the other, but all fall under the same umbrella. Moreover, each builds on the company’s previous efforts and does well to represent Ventev as a premier accessory manufacturer. Below you’ll find details for the products we were sent with corresponding feedback and insight. It’s 2018 which means that a lot of the phones we buy today feature wireless charging capabilities. 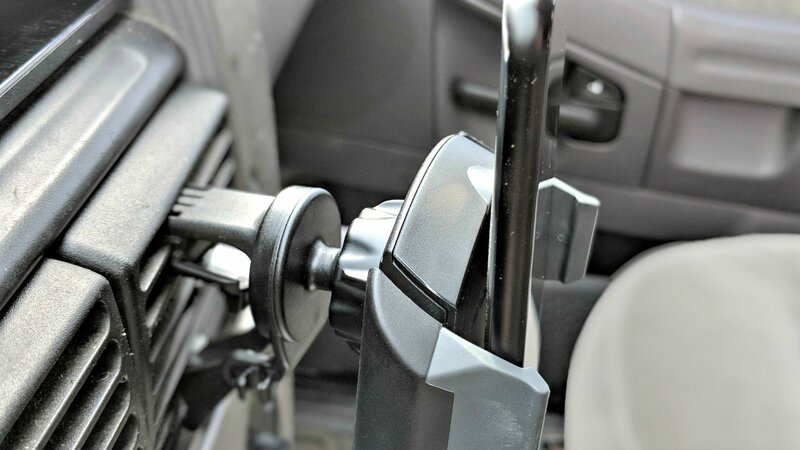 This bundle includes a car mount, which attaches to your vehicle air vent, as well as a microUSB charging cable. Together they offer a strong, secure clamp to hold your phone in place and a wireless pad to charge at the same time. 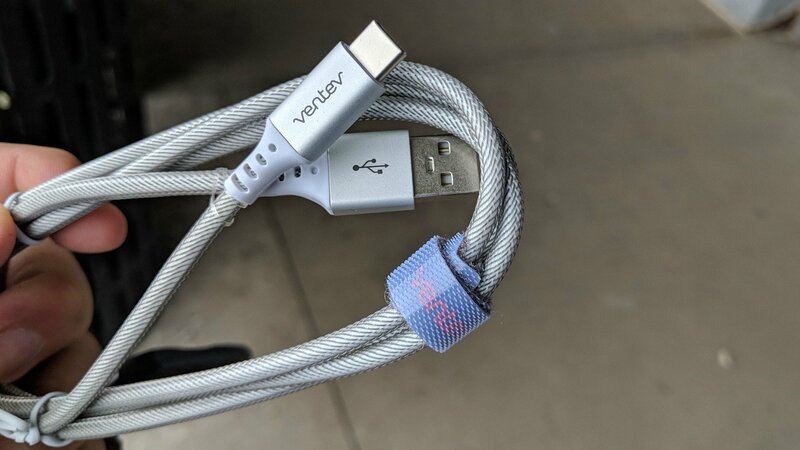 Offered in four different colors (Cobalt, Gold, Silver, Steel Gray), this cable is as practical as it is strong. You’ll have a hell of a time tangling it up, thanks to its braided high-tensile wrap and aluminum housing. And, at four feet long it reaches behind desks and furniture with more than enough cable left over. An excellent desktop solution, this lets you prop your phone up at an angle with wireless charging coming from behind. 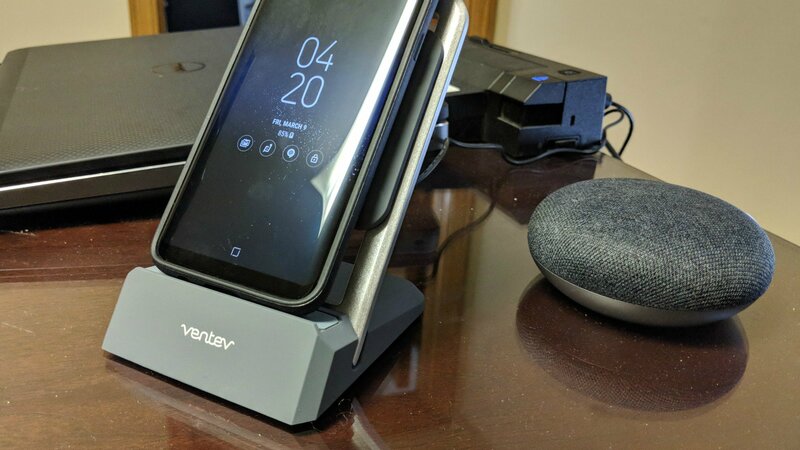 It doesn’t matter where your phone’s charging coils are, the Ventev gives you control over height placement. Simply snap out the puck and place it in the desired spot. Until 3D bioprinting allows us to print fully functional organs to replace damaged or non-functioning ones, scientists and engineers have to explore alternatives. One intriguing concept being developed by researchers at the Oregon Health and Science University (OHSU) involves a titanium alloy-coated device which looks like a spare car part — but actually turns out to be a potentially life-saving artificial heart. Its inventors hope that it could one day be the first permanent completely artificial heart, which could help save the lives of some of the approximately 75,000 Americans who die of heart failure each year. Compared to other artificial heart designs, OHSU’s creation includes no valves and boasts a very simple design, which involves replacing the two ventricles of the human heart with a single titanium tube. This houses a hollow titanium alloy-coated hollow rod that moves back and forth, prompting the movement of blood to the lungs where it can be oxygenated, and continue its journey around the body. The finished model heart will be powered by a combined controller and rechargeable battery pack. In the short-term, users would carry this with them on a belt or in a backpack. Long-term, however, a smaller battery could be implanted beneath a patient’s skin and recharged from the outside. The project started out as an invention by the now-retired Richard Wampler. OHSU then created a spinoff company named OregonHeart in 2014, which developed a further two versions of the device tested in animals at the University of Louisville. The first of these models was larger, to demonstrate the design’s proof of principle, and was implanted in cows. The second was the right size for humans and was tested in sheep. OregonHeart ultimately ceased operations, but OHSU is continuing work on the project in-house. Researchers working on the project plan to carry out more studies involving sheep. If these tests go as planned, they will they request federal permission to run clinical trials on humans using the device. While it may look unorthodox if this creation works as hoped it could be a game-changer for transplant surgery. It’s a discomforting thought but commercial aircraft are each struck by lightning at least once per year, according to estimates by aviation experts. Luckily, they rarely compromise flights. As passengers, we may not always notice the event, with our heads buried in airline pillows or eyes glued to a seatmate’s screen but it’s safe to say some inflight chaos would ensue if we were aware. With their electrically conductive surfaces, planes serve as something like lightning rods in flight. Their amplified electrical fields make aircraft themselves responsible for about 90 percent of these strikes. Planes are usually rerouted to avoid storms and potential lightning, but a new idea investigated by Guerra-Garcia and her colleagues would actually see planes intentionally increase their electrical charge and fly right through the threatening storms. Although it sounds counterintuitive — or even a bit insane — the researchers demonstrate in a report recently published in the American Institute of Aeronautics and Astronautics Journal that there is a sweet spot for an airplane’s electrical charge that that could let it avoid strikes, even in the midst of a storm. Leaders refer to electrical causeways that branch out from a plane’s highly conductive exterior. When these causeways reach an oppositely charged region, they form a circuit, and can result in a tremendous bolt of energy hitting the plane. Through mathematical models, Guerra-Garcia and her team showed that changing a plane’s electrical potential, by charging it negatively, significantly reduced the risk of a strike. Having presented a theoretical study, Guerra-Garcia said the next step is laboratory validation. However, she warned that this method is still some ways away from real-world applications, as it would entail advances in modeling capability that are currently not possible with onboard predictive algorithms. China has a pretty severe pollution problem, with smog in some parts of the country so bad that it can discolor buildings and even blot out the sun. According to some estimates, high levels of air pollution in China’s cities cause up to 350,000 to 400,000 premature deaths each year. But a new project in Xi’an, one of the nation’s most severely polluted cities, aims to help — courtesy of an enormous 200-foot chimney. Unlike most chimneys, however, this one won’t add to the levels of air pollution, but rather act as an outdoor air purifying system, filtering out noxious particulate matter and blowing out clean air into the sky. The chimney is designed to remove particles termed PM2.5, referring to particulate matter with an ultra-fine mass of less than 2.5 micrometers. This is known to be very dangerous to individuals and can increase age-specific mortality risk, particularly from cardiovascular causes. While results have yet to be published, the $2 million project has reportedly yielded positive results. Pui said that the project’s research group have found a 19 percent decrease in PM2.5 concentrations across a 10-square-kilometer area surrounding the Xi’an SALSCS, compared with other parts of the city. Next up, Pui said the team hopes to build a much larger SALSCS in Xi’an, measuring a significantly bigger 1,000 feet. They also want to expand to other parts of China, as well as beyond. Save money on the purchase and in the long run. In the smart home era, most people associate Philips with its incredibly popular Hue bulbs, but the company still makes some of the best regular bulbs on the market. 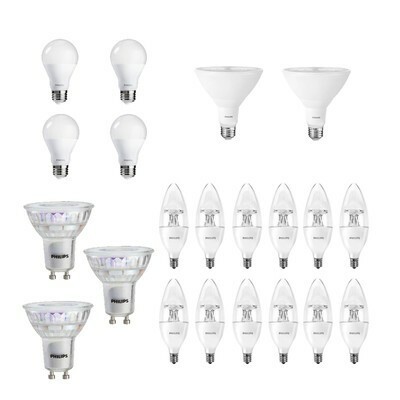 Philips bulbs are some of the best you can buy, and right now there are a bunch of varieties on sale at Amazon. This 4-pack of non-dimmable 1500 Lumen LED bulbs is down to $15.95 from a regular price of just over $20, and this 16-pack of 800 Lumen bulbs is only $21.60, which is about $8 less than it normally sells for. If you need candelabra bulbs, this 12-pack of dimmable bulbs is only $21.38, a savings of around $5. There are a few other options available at discounted prices right now as well so be sure to check them all out. Typically, it all comes down to lighting. 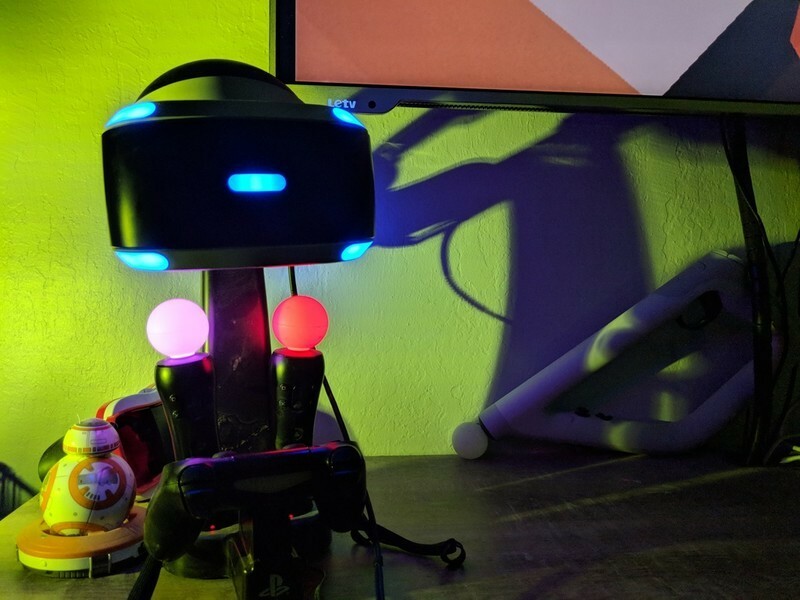 You’ve probably experienced issues with tracking while using your PlayStation VR and whether it’s a feeling of drifting or watching objects around you shake, we’re here to help you find a solution so that your PSVR experience can go back to being as immersive as possible. Always ensure you position yourself about 6 feet away from the PlayStation Camera. 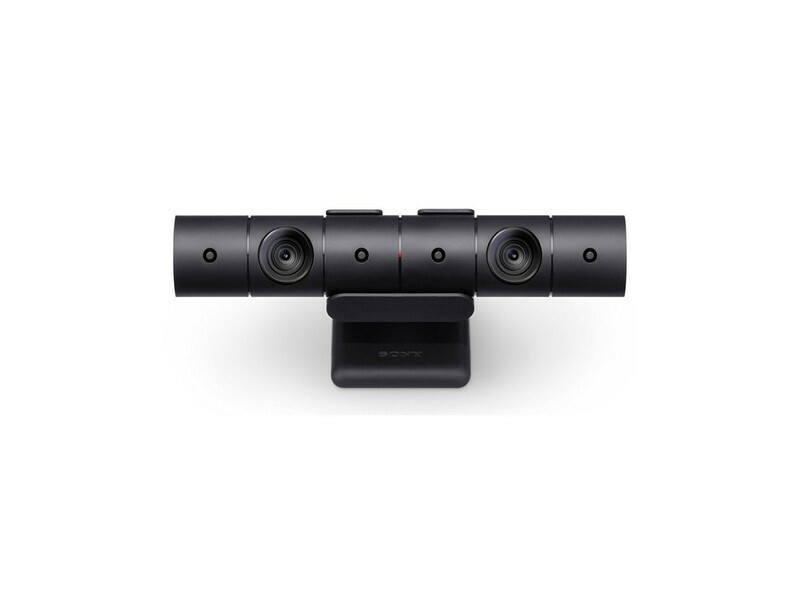 Through other tests, we have found that whenever you are changing the settings of the height of your PlayStation Eye Camera you want to keep it at about chest level to anyone playing. This means that someone who is 6feet tall might not have the same tracking issues a 5foot tall person does when the camera is at a 4foot level. By getting a clipped mic stand you can make everything a lot easier for a constant change in where your camera will be should you find it necessary. Once you have your camera set up and comfortable, go into your PlayStation settings to confirm that you can be seen and are exactly where you need to be! Center yourself in the area the sceen will show you! Most tracking issues come down from a light source problem. Whether the issue comes from reflections of light or just too bright of a light source it what diving into your settings can help you figure out. 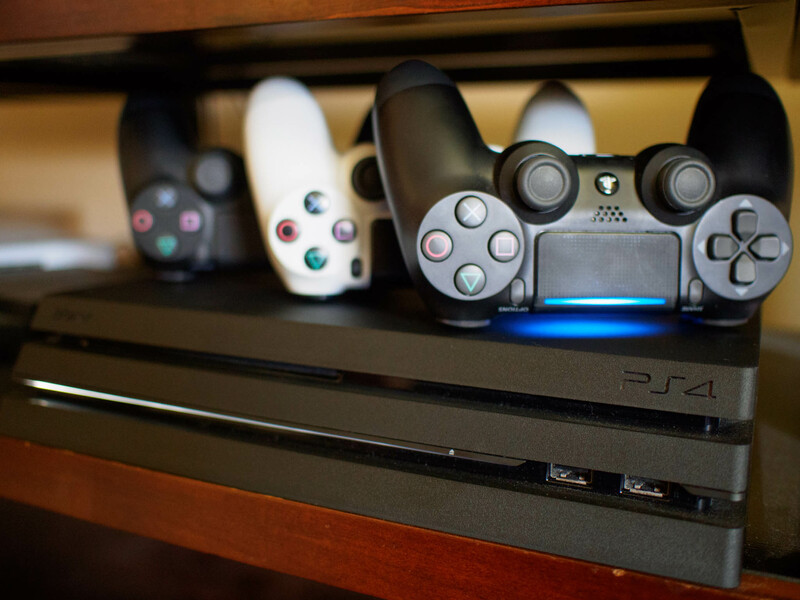 Select “Settings” from your PlayStation menu. From there you wanna make sure all your lights and controllers are in the designated areas they are supposed to be. If you see a dark blob on the screen, that’s a light that is too bright. If you found any dark blobs on the screen while checking for the light sources in your play space then it’s time to make some room arrangements. Here are some helpful tips to eliminate lighting issues. Covering reflective furniture like leather couches with a sheet. Removing reflective nicknacks and decorations that might be shining light on your camera. So, while a lot of options require a few dollars to be spent, most can be fixed with spare blankets and sheets! Just do be careful when using floormats. If they don’t have a textured bottom to prevent slipping, order some double-sided tape! Have you noticed when you take a picture of a person with the sun behind them the camera makes them a dark shadow? The exact problem occurs on the PSVR too. Try moving the camera so it points away from any direct sources if possible. Obviously, this is not possible all the time if you want it near your TV but remember, you don’t need your TV to play VR, so it is possible to move the camera to accommodate that. 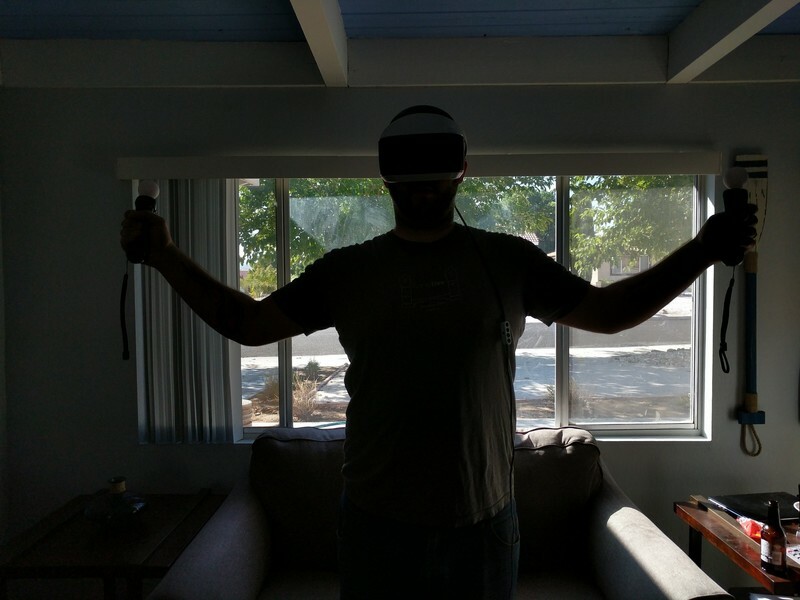 Recently we’ve tested changing color hues of your VR rooms to help with the tracking on your PSVR. We’ve found that changing the base color of the room around you will help tracking through your PlayStation Eye camera. As the blue light on your headset does not change, a color had to be found that would combat this the most which resulted in choosing a hue of green. Popular speculations have used yellows and found they work well, Green is still the most efficient. 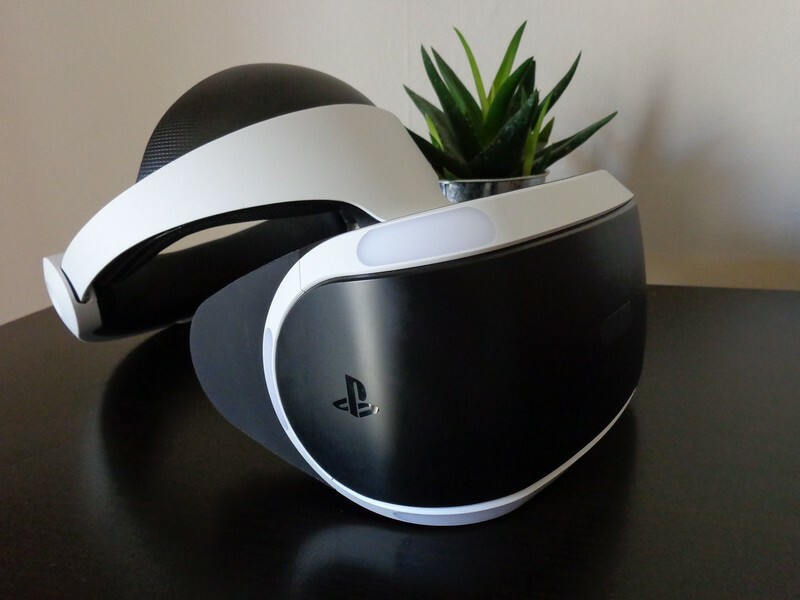 If you have tried everything above to remove your tracking issues with no avail, I definitely recommend changing the hue to the color in your room so that it is more solid and easier for the PlayStation VR to track! 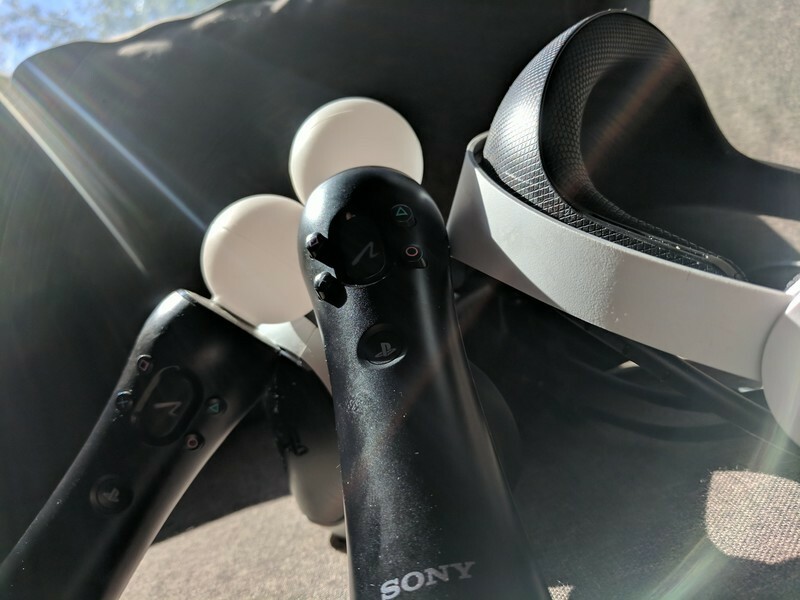 Your PlayStation picks up the colors emitted from your Move Controllers, Headset and Aim Controllers to tell how you are moving so it can plug those motions into the game. If the bulbs on your controllers are dimmed or affected by any layers of dirt or grime go ahead and clean those off to boost their performance! Use a baby wipe or Lysol wipe to gently clean the surface of the bulb. Use microfiber cloths to dry the bulb completely before use. On top of this, ensure that your PlayStation Eye Camera is clean as well! Take a can of compressed air and gently blow the surface of the Eye Camera to remove dust. Use a microfiber cloth to clean up other residue and dry it off. By building a dedicated VR Room, one with only artificial light sources, you can control every aspect of your VR experience. If you have any tips or pictures of your VR layouts we would love to see them. Leave a comment below and show off your handiwork! There’s also support for Google Assistant, SmartThings, IFTTT, and HomeKit. 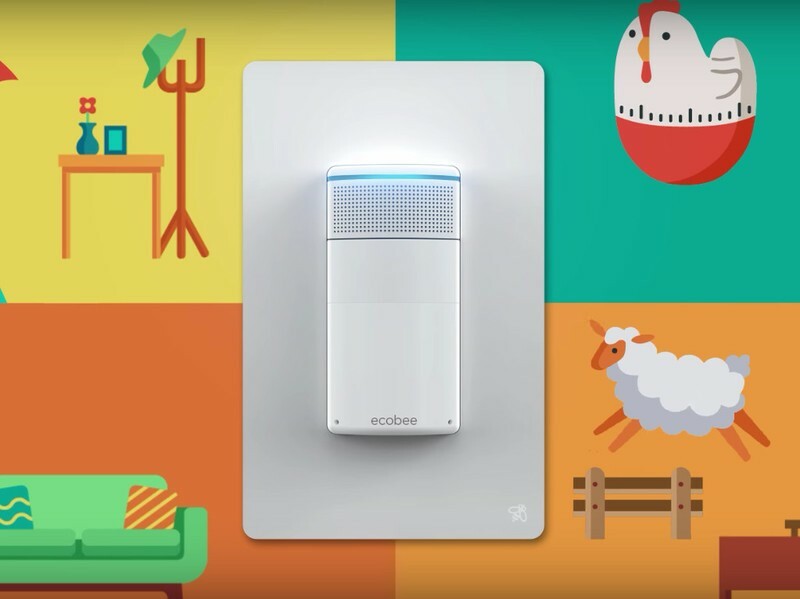 After making a name for itself in the smart thermostat space, ecobee’s now stepping into the world of smart light switches with its new Switch+. The Switch+ can be installed in your house for easy control and automation of any lights throughout your space, but it also kicks things up a notch with built-in Alexa. Thanks to its built-in speaker and microphone, you can issue Alexa commands to the ecobee Switch+ just like you would an Echo speaker. This means you can ask it about the weather, your commute to work, change your thermostat, and a ton more. ecobee did something similar with the Ecobee4 Thermostat, and it’s nice to see this feature make a return on the Switch+. In addition to Alexa, you can also use other smart-home services to connect to and control the Switch+, including Google Assistant, Samsung’s SmartThings, IFTTT, and Apple HomeKit. Other goodies include daylight sensors that’ll automatically trigger your lights to turn on when the sun goes down and a motion sensor that toggles a night-light on the Switch+ so you can easily control it in the dark. Pre-orders for the ecobee Switch+ are open now with shipping expected to begin March 26. The $99 and $119 price tags for the U.S. and Canada, respectively, are a bit higher compared to other smart switches, but when you consider that you’re basically getting that and an Echo speaker that lives on your wall, it’s not a bad value by any means. Samsung’s seen serious success with launching its yearly flagship in two sizes. In the last couple of years, the larger version has become the more desirable model while the smaller turned into the solid, default choice at a lower price. 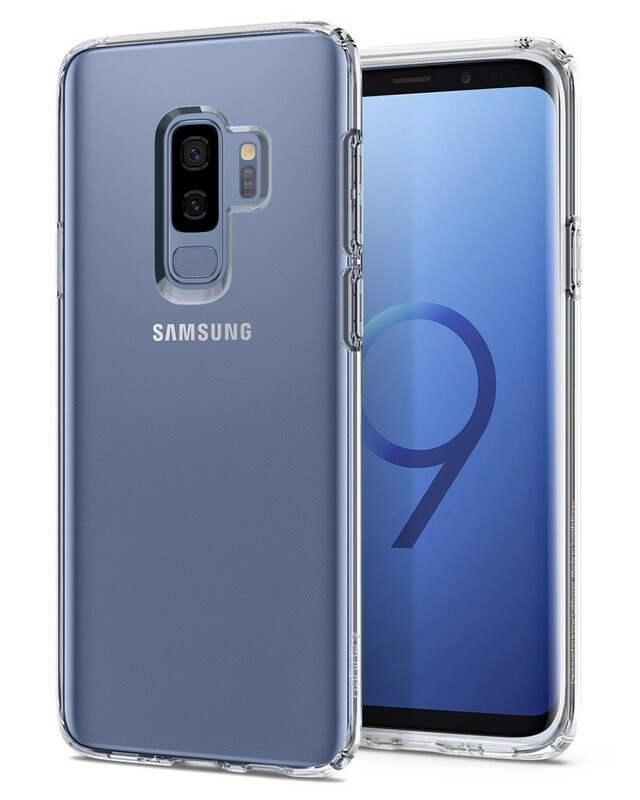 Unlike the Galaxy S8 release, the Galaxy S9 and S9+ have more differences than just size: you get a few feature and spec improvements as well, offering a bit more to justify the higher price. 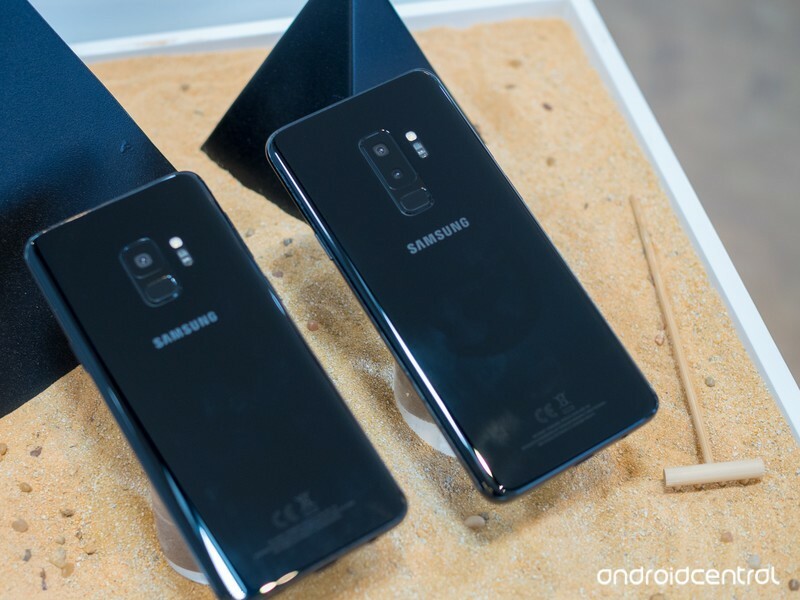 So when you go to get a new Samsung flagship, you have a choice: should you buy the Galaxy S9 or Galaxy S9+? Here’s what you need to know to make the best decision. When it comes to design, Samsung doesn’t discriminate between its two flagship sizes. 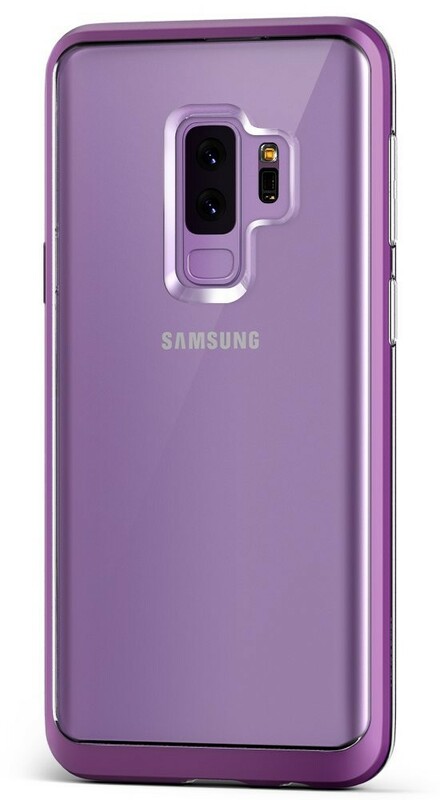 Whether you get the compact Galaxy S9 or larger Galaxy S9+, the materials and proportions are identical. Neither size has an exclusive color or hardware feature. When it comes to the core experience of using the phones, you won’t notice a difference beyond the size. The screens are of course different dimensions, but the resolution and quality of the panel are the same. 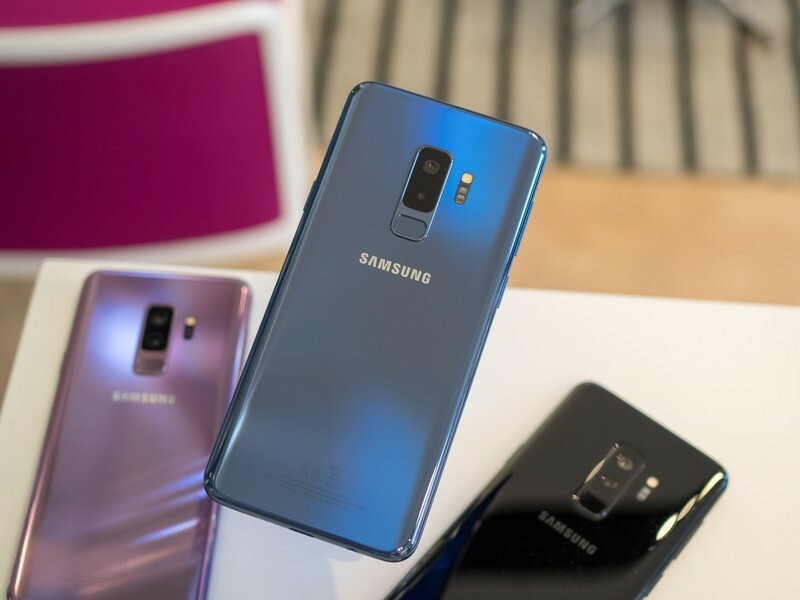 Yes, that means that the Galaxy S9 has a slightly higher pixel density, but in real-world use you’d never notice the difference — particularly if you leave the phones set at the 1080p resolution they are out of the box. The Galaxy S9+’s differences come down to a larger size, two spec changes and a camera addition. The most important ones to consider are about size: moving up to a 6.2-inch display gives you more room to work and play, but also makes the phone larger and relatively tough to manage in one hand. The Galaxy S9+ is about 10 mm taller, 5 mm wider and 15% heavier than the standard Galaxy S9 — that’s nothing to sneeze at. But to go along with that increased size is, of course, a larger battery, which at 3500mAh can help you get through a full day without worrying about charging. The capacity is over 15% higher than the Galaxy S9’s 3000mAh, but the larger display certainly doesn’t use that much extra power — so you’ll be able to do all of the same things for longer on a charge. Battery life hasn’t really improved from the last generation, so the Galaxy S9 once again is likely to leave heavy users in need of charging before the day is done. The Galaxy S9+ gets a secondary camera, but it may not be a deciding factor in your buying decision. The primary camera on the Galaxy S9+ is identical to the Galaxy S9, and that’s a great thing for everyone because this camera is great. 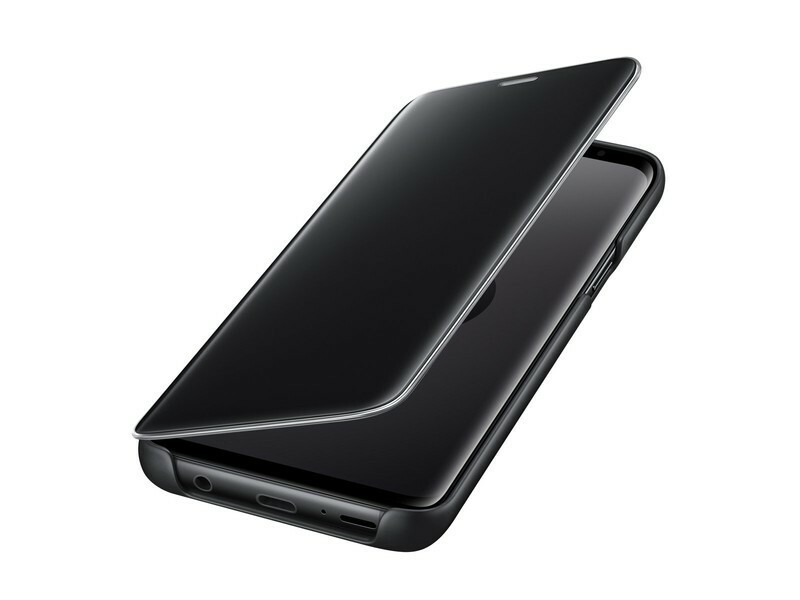 But the larger chassis in the GS9+ afforded Samsung the room to add in a secondary camera that mimics the Galaxy Note 8’s. That means it has a longer “telephoto” focal length, roughly twice the length of the main camera. 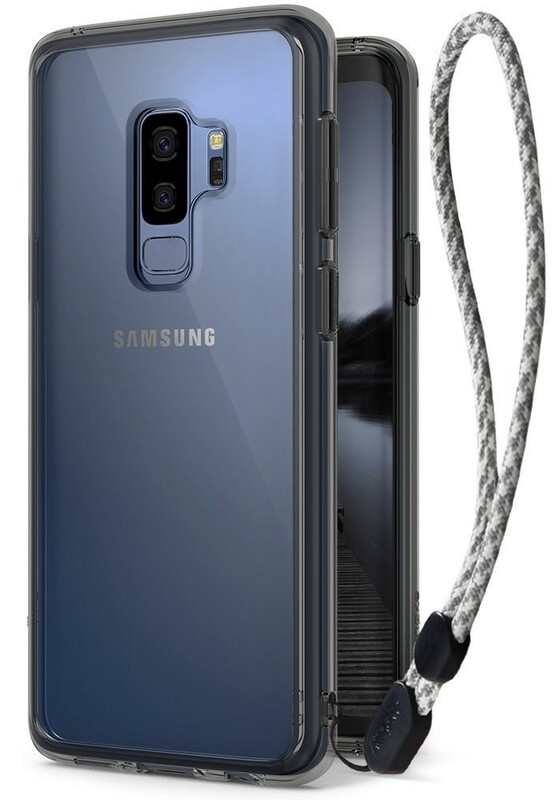 The secondary camera lets you seamlessly zoom in without losing resolution at 2X, and enables Samsung’s “Live Focus” portrait mode that artificially blurs the background behind your subject for a dramatic effect. The secondary sensor isn’t the same type of “Super Speed” Dual Pixel that the main camera is, so the quality isn’t the same. And as we saw with the Note 8, those extra features of zooming and Live Focus aren’t something that completely changes the camera experience. The main camera’s improvements in this generation are far more important for daily photography — you just have to decide how much you want the zooming and Live Focus, because you just don’t get them on the Galaxy S9. The least consequential addition in the Galaxy S9+ is more RAM, which Samsung bumped up to 6GB to match the Galaxy Note 8. Considering it left the standard Galaxy S9 with 4GB, and the two phones run identical software, it’s hard to think that Samsung’s done much optimization to take advantage of that extra RAM itself. But the extra memory will, of course, help you hold just a few more applications in the background, and give you more runway into handling future software updates and more powerful apps. This is absolutely a “nice-to-have” and not a necessary feature. As I said from the start, the Galaxy S9 is the default choice for so many people when they walk in the store simply because it’s less expensive. If you’re unsure about whether you want a “big” phone, start by using the standard Galaxy S9 — you won’t regret the size, and it can do almost everything the larger Galaxy S9+ can. You’re going to want to start with the standard S9 and decide whether it’s worth spending the extra money on a second camera and larger battery. But by moving up to the Galaxy S9+, you get a better overall phone. To choose it, you have to know you want a bigger device — maybe you want the extra screen space for everything you do, or need the extra battery life. But you also have to know you can manage the extra size and give up some one-handed usability. If you want to take that trade-off, you then also get the bonuses of more RAM and a secondary camera for extra photography choices — I very clearly put those two additions below the decision regarding screen size and battery capacity, which have clear benefits in everyday use. Finally, remember the cost involved. To get that bigger screen, larger battery and couple extra features, you have to pay about $120 more for the Galaxy S9+. Over the course of a two-year payment plan, it’s about $5 more a month, which is easy for a lot of people to handle — but everyone has their own threshold for how much they’ll pay for a new phone, especially when it’s just incrementally better. If you can afford it, and your hand can manage the size, the Galaxy S9+ is the better overall phone — and if you can’t, the Galaxy S9 gets you most of the way there for less. Dear Android OEMs — this is how you do software updates. No matter what you think about the Essential Phone, one area that it dominates all other Android OEMs at (aside from Google, of course) is with its software updates. Less than a month after launching a beta for Android 8.1 Oreo, Essential’s now pushing the software to all of its users. This marks the first public Oreo update for the Essential Phone as Essential chose to skip 8.0 after discovering some bugs towards the end of its beta, but even so, Essential’s still beating Samsung, LG, and other big players in these regards. 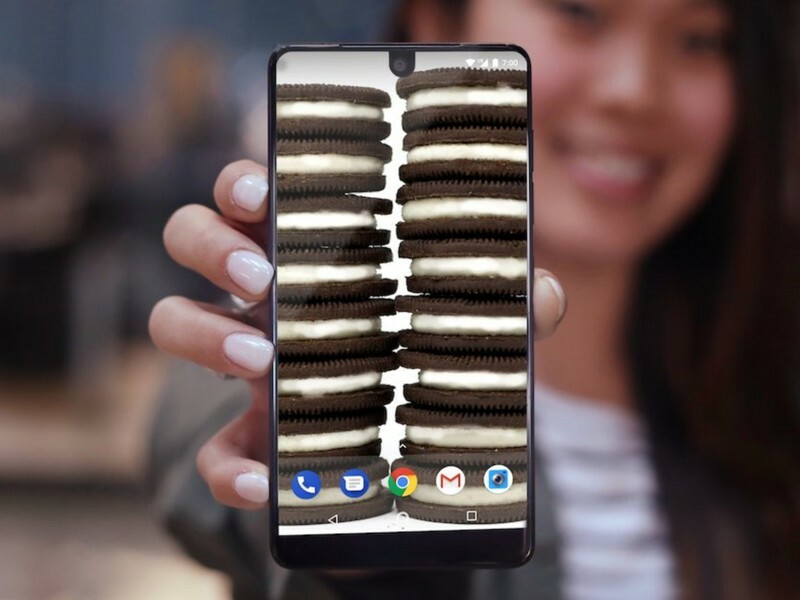 If you didn’t jump on the Oreo beta for the Essential Phone, you’ll find a lot of new toys to play with, including picture-in-picture, Android’s new emoji design, a dark theme for Quick Settings that changes based on your wallpaper, Google’s Autofill API for faster password entry, and way more than I have time to list here. Essential says to “check your phone now” for the 8.1 Oreo update, and if you don’t see it yet, you should be able to download and install it over the next couple of days. If you’ve got an Essential Phone, what are you looking forward to the most with Android 8.1? The Samsung Galaxy S9 is almost here. Pre-orders have gone live and that means it’s time to ruminate over which accessories to buy. We’ve already seen some pretty cool cases announced. Not all of them are available to purchase just yet but it never hurts to do some window shopping while you wait for your new phone to ship. 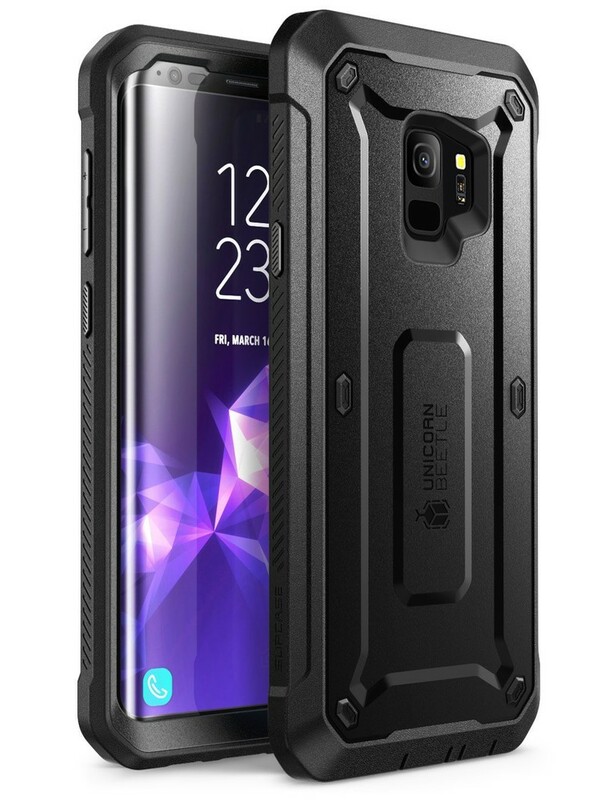 Here are the best cases we’ve found for the Galaxy S9… so far. We’ll be updating this article as more awesome options become available. Samsung hasn’t listed a price, but the Note 8 S-View cover launched at $60 so we can probably expect similar pricing here. 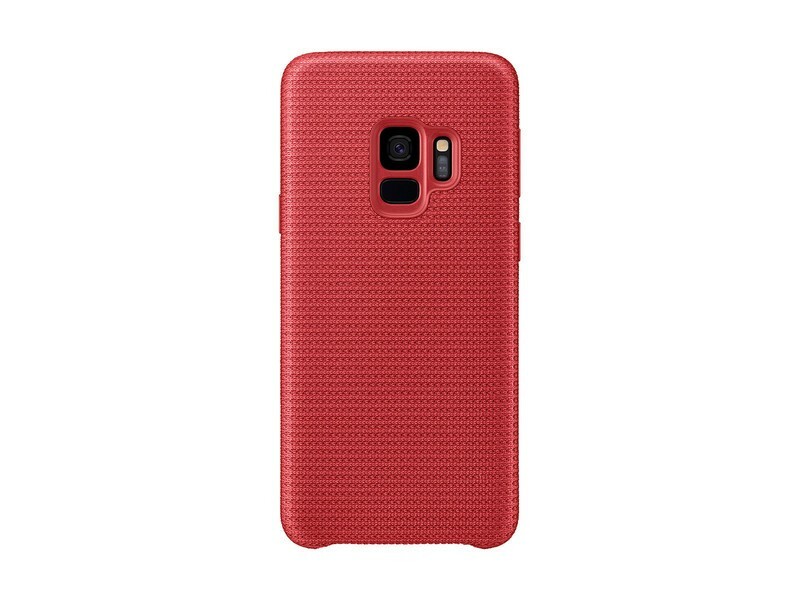 Made of woven nylon, this case looks brilliant in red with a nice, soft finish. Everyone’s going to want to see your brand new phone, so why not add a bit of extra flash while keeping it safe? With extra protection in the corner and clean cutouts around the camera and fingerprint sensor on the back you’ll love the functional and stylish design on display here. Samsung offered the Alcantara case for $50 for the Note 8, so we’d expect something similar for the S9. 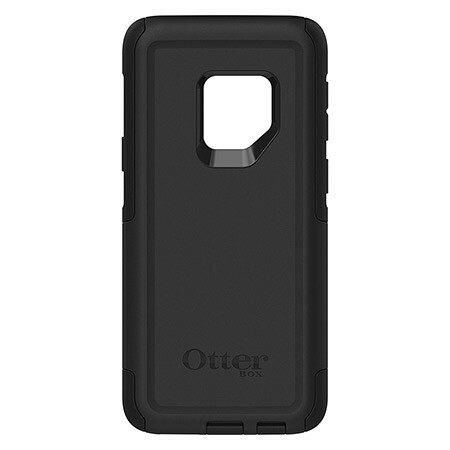 We’d recommend the Commuter series case which is a pocket-friendly case that still delivers the rugged protection you’ve come to expect from an OtterBox case. 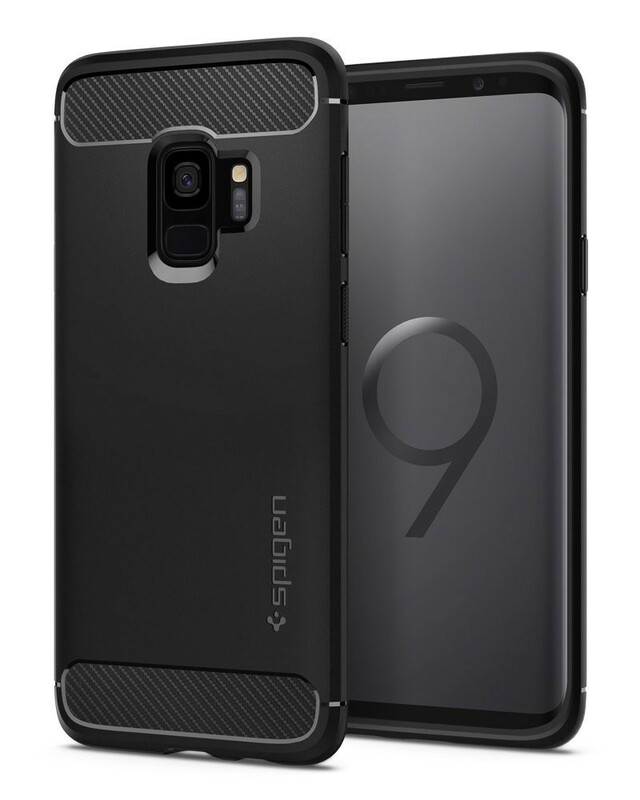 It’s got one big cutout on the back for the camera and fingerprint sensor and includes port covers to keep dirt out. 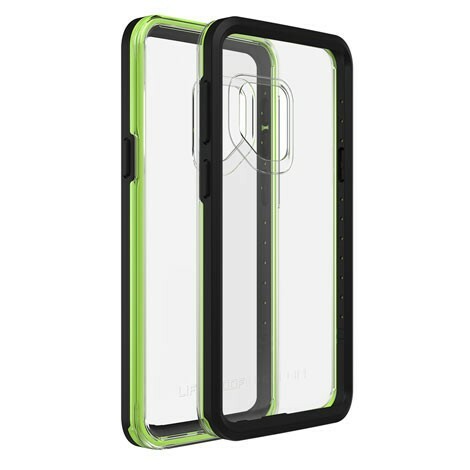 Lifeproof cases typically offer protection from dirt and snow, but the SLAM case focuses exclusively on drop protection. 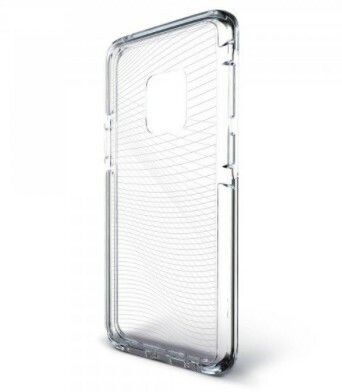 Lifeproof says this case can survive drops from up to two meters (6.5 ft) thanks to the reinforced bumpers. It’s also got a rugged backplate that’s clear to show off the phone’s design and also compatible with wireless charging. While it’s not quite as Lifeproof as you’d expect, it’s also not as expensive as other Lifeproof cases at only $50. Plus, it looks pretty cool with the black and neon green, do you think? Looking for the classic FRE Lifeproof case? You can sign up to be notified about when it becomes available. 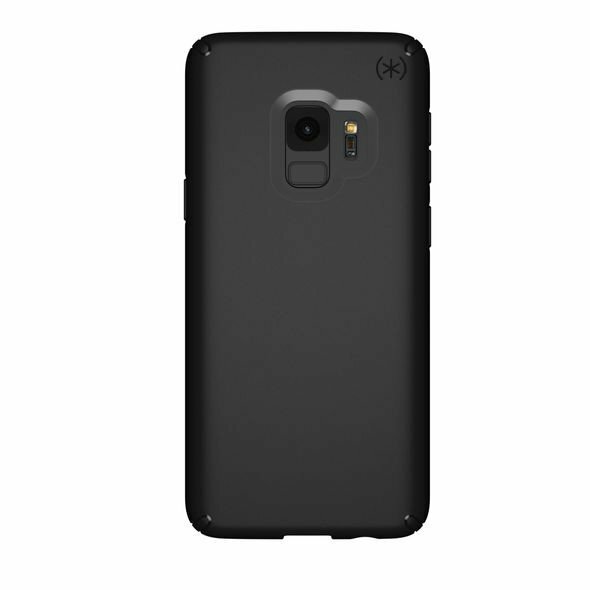 Speck has a full line of cases available for the Galaxy S9, but we’ll focus on the Presidio case here because it’s a great place to start. It’s got a simple design with smart features where it counts like double protection in the corners and a slim profile that’s compatible with wireless charging. 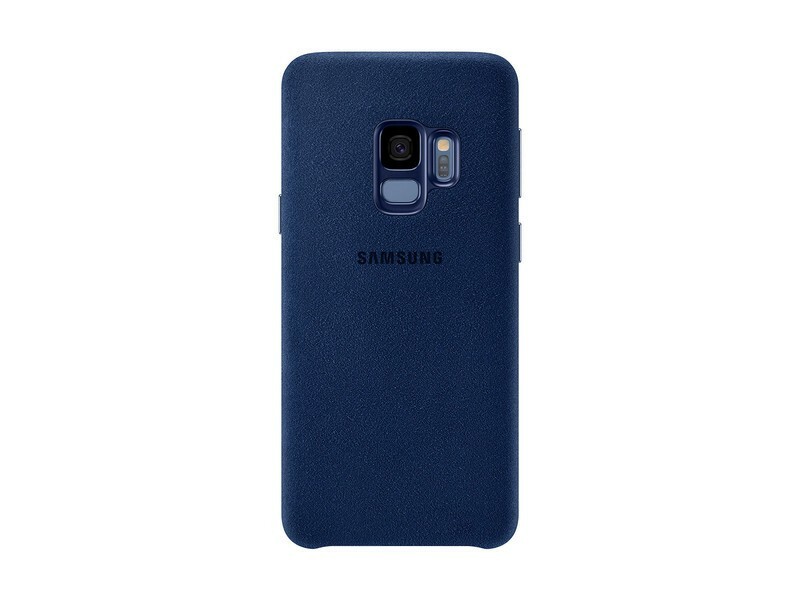 It’s been drop tested up to 10 feet and the matte finish is scratch resistant so it shouldn’t show wear. More importantly, it always comes in at a great price. At just $12.99, it’s one of the cheapest options currently available from a brand we trust. You can get the Liquid Crystal for $12.99 or add a funky print or some sparkles for just $14.99. Port plugs keep dust and pocket lint out of your charging port and headphone jack, and it also comes with an optional belt-clip holster. Rugged enough to keep your phone protected and yet thin enough to work with wireless charging, get your Unicorn Beetle Series case for just $19.99. 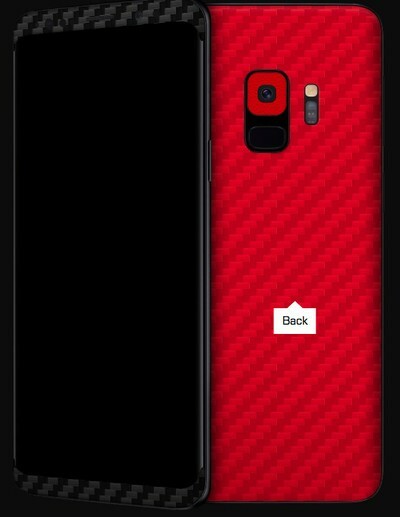 Update March 12, 2018: Added the VRS Design and Ringke Fusion cases to our list.